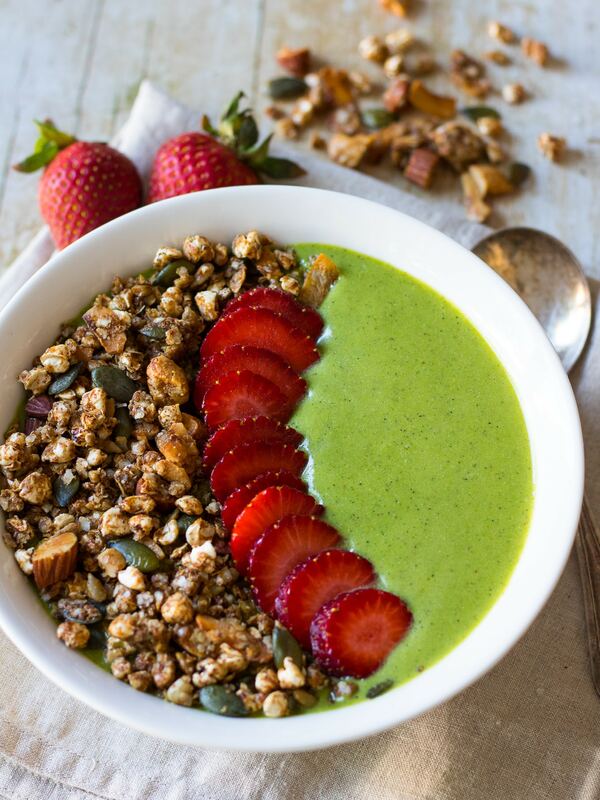 Successfully saved Green Protein Smoothie Bowl to your Calendar. You can also save the ingredients to your Grocery List. This thick green protein smoothie bowl is a quick, satisfying healthy breakfast that is ready in no time. Dairy free and gluten free. Paleo and vegan options.